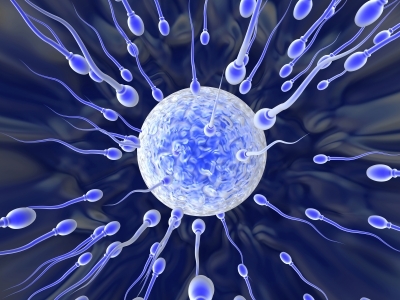 The male sperm moves with speed – ferociously – in order to mate with the female egg and give birth to a new life – zygote – the one cell that will divide and evolve into many complex cells to create a beautiful and most complex life form – a human being. The creation of life starts with this duality and paradox – movement/active principle mating with stillness/passive principle thereby giving birth to life. Same way, the Primal Creation was result of mating of Absolute Silence/Stillness/Nothingness and ferocious active movement of Primal Consciousness. As above so below! Upon arriving at the moksha stage, masters touch this Primal Stillness – the Absolute Nothingness – and experience indefinable bliss and realize that nothing has ever happened and all the happenings is just an illusion – maya. But while they are in this zone of ‘no action/stillness/oneness/nirvana’, the world outside is still evolving, their own body is still undergoing trillions of movements & changes, the Shiva principle is actively creating with same zeal with which it planned, designed and developed this gigantic cosmos. Hence as soon as that nirvana experience is over and they are touched by this active evolutionary principle, they too feel the rush within to spread the truth, to spread love and peace, to spread freedom to the other ‘ones’. They don’t get enlightened and remain ‘still’ in absolute nothingness outside the workings of time zone. In fact, they work more vigorously, more dedicatedly and more intently for evolution of ‘The One’ as the active principle. This is the final paradox of nirvana/moksha/enlightenment. As with the emergence of cosmos from absolute silence of nothingness, so is the emergence of Evolutionaries from the absolute blissful experience of enlightenment/nirvana/moksha. Nebraska or Uttar Pradesh – MY field or my zone of operation is not just Earth or ‘this’ Solar System or ‘this’ nebula or this part of the Universe or rather ‘this’ universe out of trillions of similarly ‘designed’ universes – that I created in the endless vastness of Prime Infinity – Absolute Nothingness. Why I AM reiterating this ‘story’. Now that you wish to truly grasp and understand the creation and beyond – you must start expanding your vision from ‘cosmos’ to the ’cause of most’ creations. ‘Most creations’ because once an intellect able to ‘create’ is placed within ‘a cosmos’ – there are several chain of creations unique to that intellect – just like this planet Earth and trillions of creations ‘man-u-factured’ by men/women! Study your own psyche as a human being. What is the root cause of your own creations, efforts to maintain them, eagerness to evolve further and trying to push death away with your intelligence. Once you start understanding the reasons behind your own existence, expressions, evolution and entropy – you will get a sneak peek into the Prime Motive – Cause behind the ‘Whole’. Magnammassia or ‘true multiverse’ is so huge that a human mind is unable to even imagine or compare its vastness with any known objects or ‘space’. Therefore when it comes to Vaccumology even cosmologists will start shacking unable to bear the infinities of The Infinite – the Mega Creations of The Creator of the tiniest ‘spark’ which is the basis of your so called ‘material universe’ from inert objects to living Atmas (atoms as described by Panini). The Oneness Revolution is scientific acceptance of this One Undivided Great Intellect/Energy behind All That Is – Creator of all creators and creations in any corner of Infinite Universes – aware of them all simultaneously – undescribable number of entities existing with unimaginable inter-dependance in this giant Integral Network run by The One from within as well as ‘without’. Shiva/Shakti or Intellect/Force or Consciousness/Energy or Father/Mother or Panini/Hemant or Nothingness/Infinity are all human concepts trying to make something out of this inconceivable Oneness/Noneness. Any definition as well as all definitions can be applied to us/ME for I AM everything while simultaneously being nothing. Yet that does not mean that an advanced intellect like that of a great soul residing in a great human body do not even try to fathom the depths of nothingness and just worship a tiny part/aspect of ME as an idol and shut its mind to all other expressions/aspects of MINE. Oneness is the first step to start understanding higher, wider and deeper sciences involved in creations/maintenance/destructions of not only known/material worlds/creations but also of so called non-material worlds/dimensions and the entities residing on them – right from creation of a soul entity to its evolutionary cycle and the highest attainment of that entity in this empty Brahmand and beyond! Would you not like to check the records of the time of beginning of creations and subsequent destructions till I managed to arrive at current levels of evolved creations – versions much advanced than the initial efforts? Or do you think that the whole ‘Whole’ came out of a ‘big hole’ just like that? Bang! Silly! It’s only your inability to think and understand the concepts of beyond that you assume certain ‘parameters’ ‘assumptions’ and then start applying logic to it to keep things simpler and avoid the questions which can’t be answered in current level of your awareness/intellect. Therefore you nicely created two compartments of ‘provable physics’ and ‘unbelievable metaphysics’. Yet I AM uses both for any creation and so you must also try to integrate them well if you wish to jump to higher levels of evolutionary living in this Multiverse created for ‘you’ and thereby for ‘ME’. Herein lies the secret – the obvious truth – you, ME, universe, multiverse… all get dissolved once you accept and ride on the wave of Vaccumology – beyond all beyonds where all doubts are answered – where ‘all’ begins and ends – eternally!